Synergy Signs & Services is located in Fort Worth, Texas where it has served the state in sign sales, fabrication, installation, and services of the highest quality to our customers. 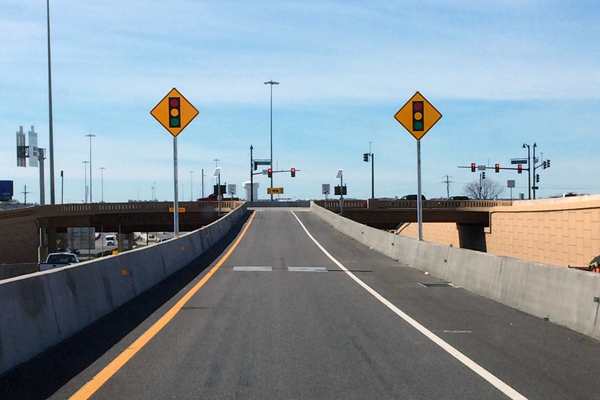 We are an innovative provider of a wide array of products which include Cable Barriers, Delineators, Guardrail, Mailbox Systems, Signs, and Sign Structures. Synergy has the experience and expertise to implement the needs of our clientele with a national presence whilst maintaining focus on our local community. We are proud to support local charities, schools, parks, and various other sponsorships. Through teamwork with clients, vendors, architects, and property owners, Synergy Signs has become a well recognized and respected industry leader in full services signage needs. Thank you for taking the time to check out our website. Take a look below and see if we can help you. One of the most important tools for any business is their identity and how they represent themselves. Having proper signage is a must! Whether you are looking for an extravagant sign to have outside of your business, vehicle graphics, signs for your parking lot, or anything else you could dream of, Synergy Signs has your back. Just like our name states, signs aren't the only services we provide. 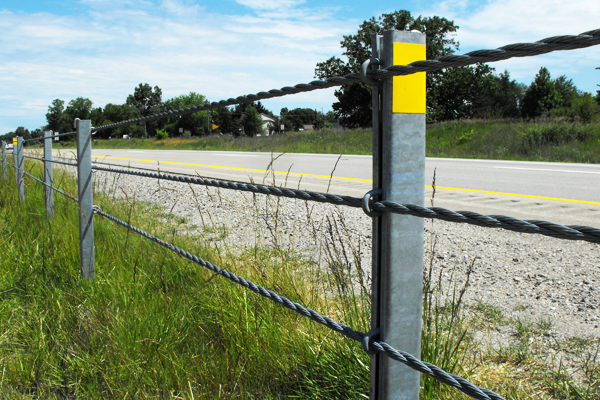 We offer a wide variety of products that include cable barriers, delineators, guard rails, mailbox systems, and structures. Whether you are wanting to order signs, or have us do the work, we can handle the job. 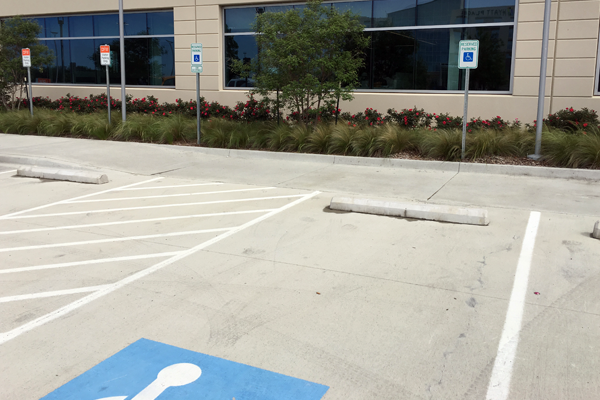 ADA signs are signs that comply with the Americans with Disabilities Act Accessibility Guidelines (ADAAG). Braille and raised character signs are the most common types of ADA signs, but any sign that identifies, directs, or informs of a permanent room, space, or acessible feature of a facility are also examples. We offer Type/Grade I & II braille plaques, accessibility, handicap signs, and anything else that might fall into this category. Architectural signs typically have a unique design that was created for a specific area. Any architectural sign will have to be approved by an architect and an engineer to ensure the structure/sign is fabricated to be secure and stable. The most common type of architectural signs that we fabricate are building monument signs. 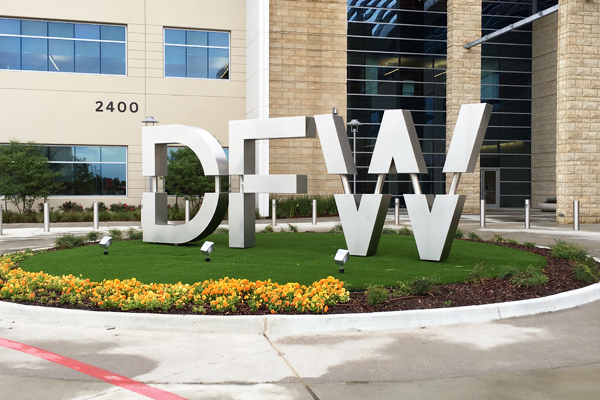 We offer custom signs, monument signs, and additional features to preexisting signs (see the DFW holiday bows in our gallery below). Small scale custom signage that doesn't require engineering and doesn't fall into any other category are considered graphic signs. Some examples of graphic signs/vinyl are banners, posters, stanchion inserts, and wall/vehicle wraps. We offer banners, posters, stanchion inserts, temporary signs, and wall/vehicle wraps. 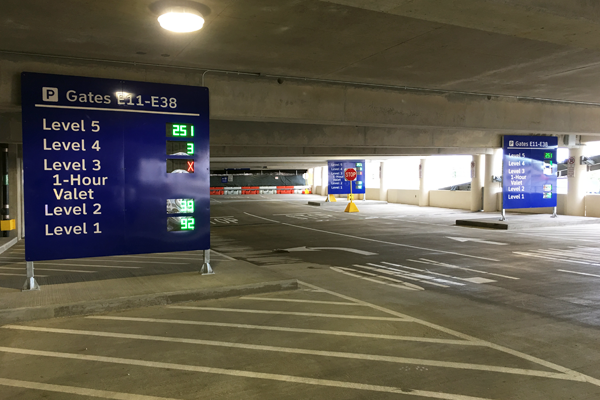 Any sign that assists you in getting where you need to go while in a parking lot or parking garage are considered parking signs. Regulatory and wayfinding signs play key roles in directing drivers where they need to be. We specialize in an LED hybrid system know as PGS signs (Parking Guidance System). These signs direct drivers to available parking spaces with labels, arrows, and show the exact number of parking spaces available in the area. We offer any and all signs that may apply to your specific parking lot/garage. Roadway signs consist of stubbed/surface mounted regulatory, wayfinding, over head extruded signs, and anything else that falls in between. 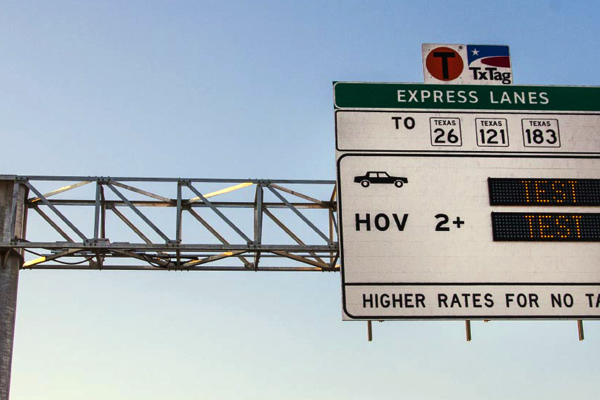 Being in the state of Texas, all signs must comply with TXDOT specifications as well as the FHWA guidelines. We offer temporary construction signs, regulatory signs, guide signs, and over head extruded signs. Wayfinding signs guide pedestrians/passengers with a systematic network of directional signs traveling to major civic, cultural, visitor, and recreational destinations within a specific area. 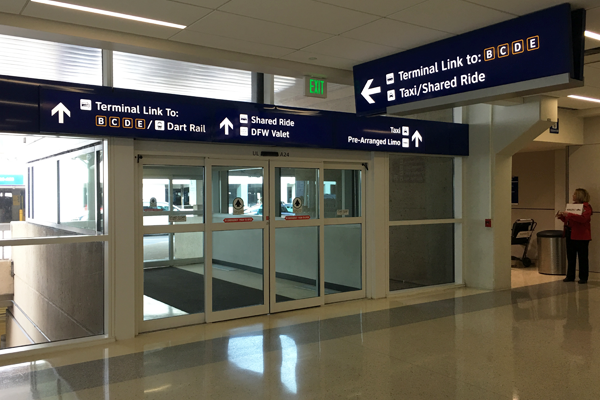 The most common wayfinding signs that we fabricate are typically for airports and downtown areas. 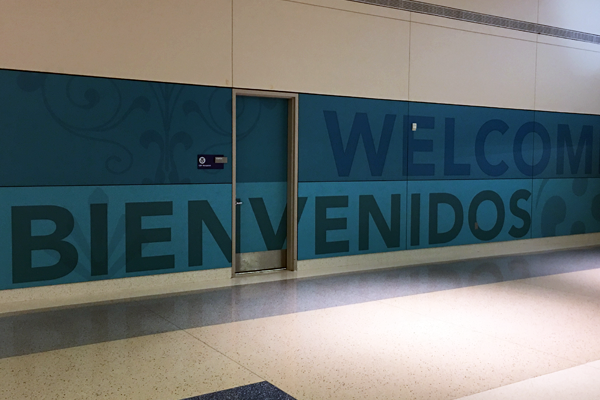 We offer a wide array of wall/window graphics, temporary wayfinding signs, and illuminated overhead signs. Cable barries, sometimes referred to as guard cable or wire rope safety barrier (WRSB) are a type of roadside or median safety barrier. 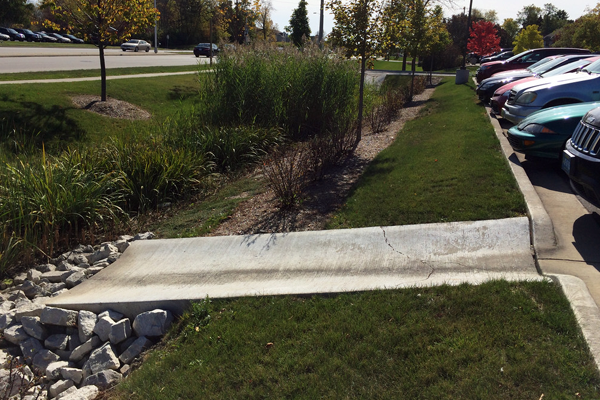 The primary purpose of a cable barrier is to prevent any vehicle from leaving it's traveled path and striking a fixed object or terrain feature that is less forgiving than itself. Similar to guardrails, cable barriers function by catching and/or redirecting an errant vehicle. 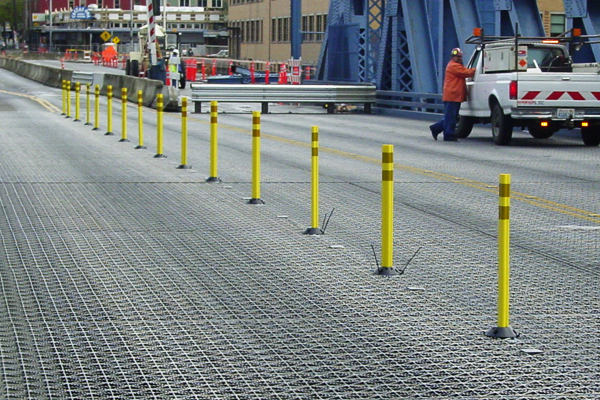 We offer low and high tension cable barriers. Concrete flumes and foundations are novelty services that we offer. Flumes are man made channels that help guide water to a designated area. The foundations we pour are specific to signs and sign structures. We offer concrete flumes and foundations of all sizes and grades of concrete. Traffic delineators are a popular choice for channelizing traffic. They are typically fabricated using plastic, ceramic, and metal. Delineators vary in shapes, size, and colors. They included raised reflective markings that enhances their visibility at night. We offer a wide variety of delineatory options. 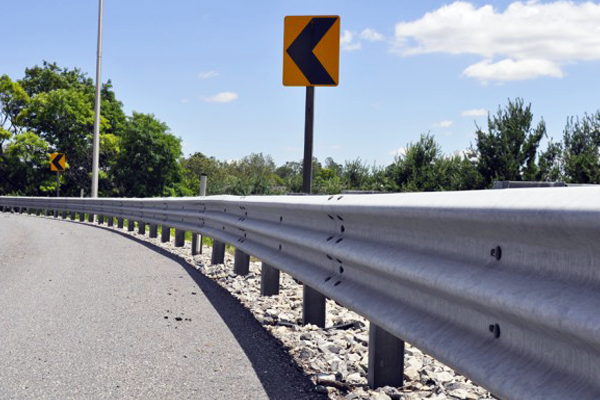 Attenuators, metal beam guard fence, and safety end treatments are all potential parts that make up a guardrail. The foundation of any guardrail is a MBGF. It's main purpose is to keep vehicles from entering the opposite side of traffic when accidents occur. Attached to the MBGF are attenuators and safety end treatments. Their purpose is to reduce impact and to provide a "safer" crash pad for oncoming vehicles that impact head on with guardrails. We offer a wide variety of guardrails. Mailbox systems are required for all residents whose mail is delivered on a state highway. 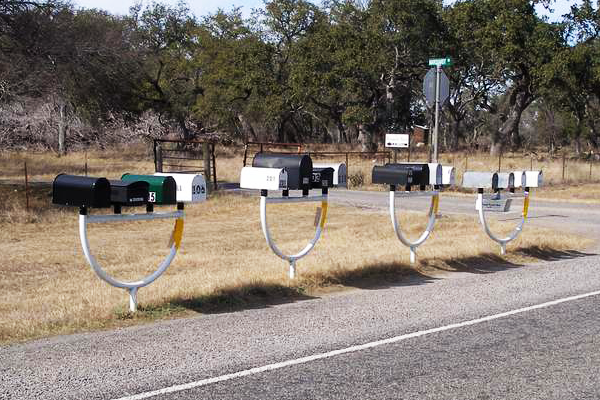 TXDOT requires that mailboxes are installed on the highways right-of-way, and can only be made out of lightweight sheet metal or pastic. These mailboxes must also have reflective markers on them to comply with guidelines. We offer single, double, and multi-mailbox systems on single posts. Sign structures come in various shapes and sizes, and are intended to support roadway and highway signs in a manor that meets TxDOT and FHWA guidelines. Some examples of these structures are cantilevers, over head sign bridges, rail mount assemblies, and T strucutres. We offer all listed strucutres. if you don't see what you're looking for. Synergy Signs had the opportunity to work on some great projects. Feel free to take a look through our gallery to see some of the highlights from various projects that we are proud to have been a part of.